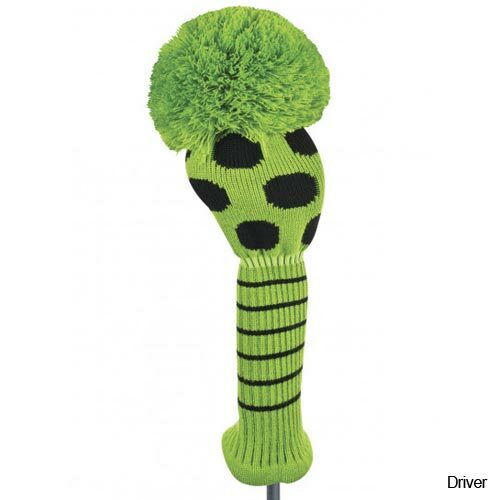 The driver has a unique allover argyle pattern with a coordinating solid oversized pompom. Knit like your favorite sweater & now has spandex for a better fit! The head has a double layer intarsia consstruction and 2x2 rib shaft to protect your clubs! Fits 460cc. 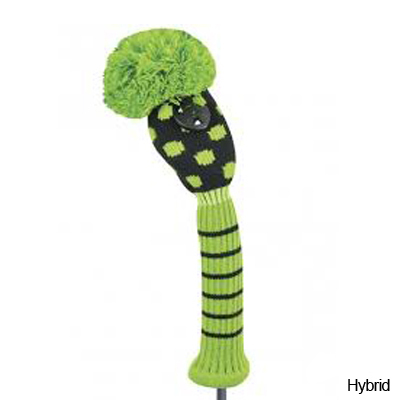 Our hybrid cover is cute as can be a reversed small dot & coordinating oversized pompom with stripes on the 2x2 rib shaft. The head has a double layer intarsia construction and a touch of spandex for a better fit! The unique size marker changes to fit your clubs 3,4,5,7, X. Just 4 Golf Accessories was born out of need because I couldn't find fun & stylish golf club covers for my fabulous new pink golf bag! I am an avid golfer, a fashionista, experienced product developer and knew I could create a line of golf club accessories that are fun & colorful to be mixed and matched to create your own fashion statement. Let your bag be your own "personal statement" not a walking sponsor or look like a toy store! 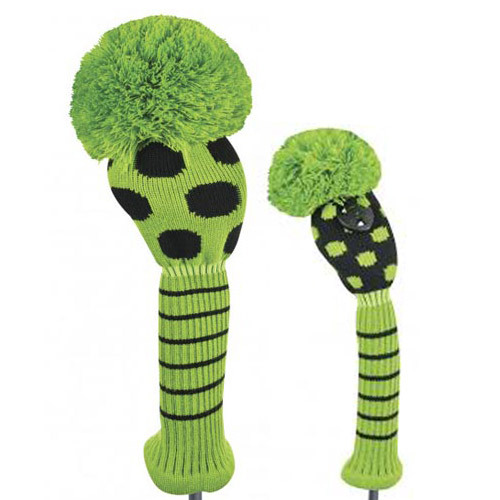 I am so excited about our new collection of coordinating Driver, Fairway, Hybrid & Putter covers! Create your own set by size, pattern & color. Buy just what you want, need & gotta have!